The Thurston High School shooting took place on May 21, 1998. 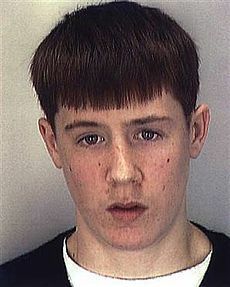 Expelled student Kip Kinkel first murdered his parents before engaging in a school shooting at Thurston High School in Springfield, Oregon that left two students, Ben Walker and Mikael Nickolauson, dead and 25 others wounded. Kinkel is currently serving a 111-year sentence without the possibility of parole. Below is a 3 part video (audio only) of Kip's confession to the police. It's super interesting and very sad at the same time. The young man was suffering from paranoid schizophrenia and stated the "the voices" in his head told him to commit these heinous acts. 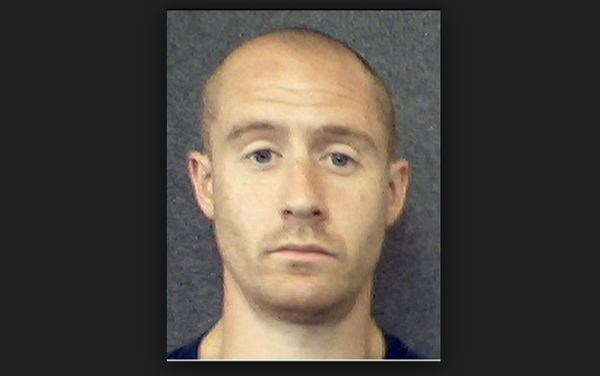 Most recent prison photo of Kip. He was 15 years old at the time of the shootings. He is now 36. That is one sick little dude. It's sad af isn't it?